G.I. Joe is as much of a doll as Barbie. But gendered marketing tells children that action figures and dolls are somehow different. Logan Everett, the first boy doll to be produced by the American Girl brand, made his public debut in February. Parents eager to raise girls and boys who will consider themselves each other’s equals have high hopes for this trailblazing toy, but analysts are skeptical that Logan will succeed where other dolls, male and female, have fallen short. Since the 1970s, parents committed to flexible gender roles have wanted dolls to teach their boys to be good caretakers — nurturing and kind — but boys have balked. This isn’t surprising, as American popular culture continues to express ideals of femininity and masculinity that are at odds with blurring gender binaries. Best-selling toys for boys — such as erector sets, Lego blocks, and “action figures” — are designed to inspire rugged individualism and cultivate an interest in science, construction, and the military. G.I. Joe, of course, is as much of a doll as Barbie. But gendered marketing tells children that action figures and dolls are somehow different. In recent years, some parents have protested this division, arguing that large retailers like Target shouldn’t separate toy aisles by gender. After an Ohio mother’s tweet showing “building sets” and “girls’ building sets” at Target went viral, the chain changed its organization and signage, no longer dividing toys or household items by gender. But the reality of gendered expectations hasn’t caught up with these good intentions. While young women are outperforming young men in college admissions, and educated young women are even earning more than men in their 20s, the wage gap kicks in hard when women reach their 30s — when they decide to start families. The enduring assumption that women, not men, will curtail their workplace ambitions in order to care for children — a stereotype linked to dolls for girls — holds them back. Dolls are, like all toys, a tool adults use to teach children values. In the mid-nineteenth century, manufactured dolls taught girls about sewing and fashion. They were well dressed, meant for looking at rather than playing with. But once the sewing machine and the mass production of affordable clothing shifted sewing work outside the home, dolls were created that taught a different set of skills. The new baby dolls, some of which cried and even wet their diapers, became a way to teach girls how to take care of babies. But in the 1950s a new kind of doll burst onto the scene. 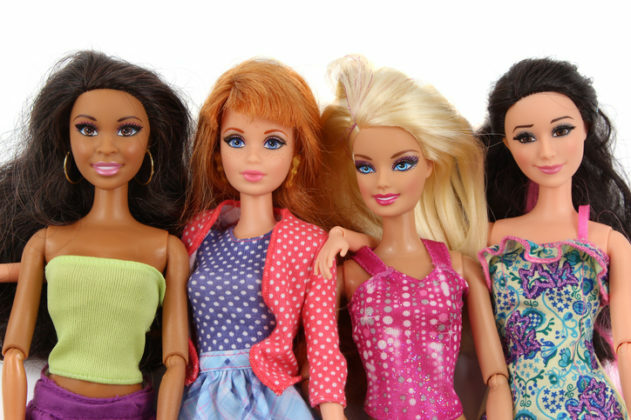 Mattel’s Barbie introduced the concept of the doll as a girl’s best friend. The American Girl line fits squarely into this doll-as-pal model. But, at least in their earliest incarnation, they came with a mildly feminist slant. Their inventor, Pleasant Rowland, created the dolls after a trip to Colonial Williamsburg led her to think that dolls with an interesting backstory might inspire girls to learn about history. Felicity from Colonial Williamsburg, World War II-era Molly, pioneer Kirsten, and Victorian orphan Samantha taught young girls about the past and demonstrated how women pushed back against the stereotypical expectations of their eras. Unlike Barbie — who until recently seemed to live for fashion and dates with boyfriend Ken — the American Girl dolls had projects to accomplish as patriots, journalists, and more. What Logan adds into this mix is an invitation for girls to be friends with boys. According to the American Girl narrative, Logan plays the drums in his friend Tenney Grant’s band and “challenges her to broaden her sound.” As the mother of two daughters, I hope Logan challenges the girls who play with him to broaden their own sound. The possibility that a boy could be a friend — not a Ken-style boyfriend, but a real friend — opens the door to reciprocity of expectations. And if Logan is really a friend, he will not brag about assaulting girls, in the locker room or anywhere else. If boys take to Logan and learn that caring for others is men’s work too, that would be great. But, since no other boy doll has pulled this off, the real gain may be more subtle. By fueling friendship between boys and girls, it might help teach a generation that people are more than their bodies, more than objects of sexual attraction — and always worthy of respect. Amy Shuffelton is Assistant Professor of Cultural and Educational Policy Studies at Loyola University Chicago. She is a fellow in The OpEd Project’s Public Voices Greenhouse.